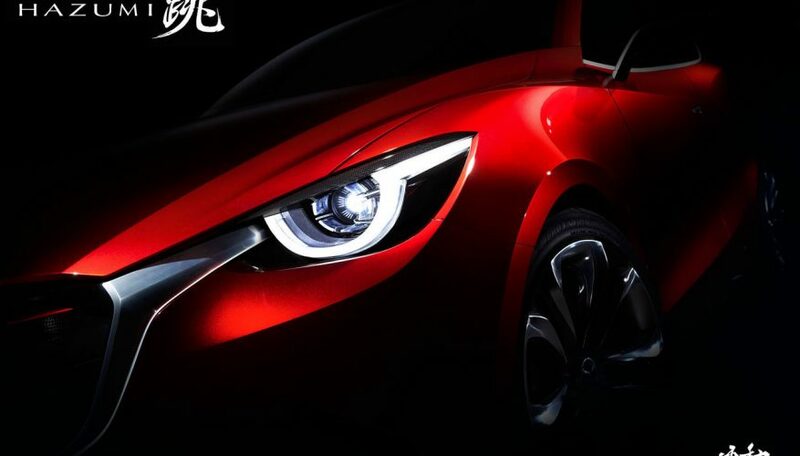 Mazda will be providing a sneak peek of its next-generation Mazda2 subcompact when it premieres its Hazumi Concept at the International Geneva Motor Show in March. is a Japanese word meaning to "bound or spring up", and according to Mazda the name was chosen to convey the image of an untamed animal leaping. "It is particularly fitting for a small car designed to look as if it is literally bursting with energy," explained the Japanese automaker in a press release accompanied by a single teaser image of the concept. "The Mazda Hazumi expresses the ideal form of the company’s next-generation subcompact car." Mazda will also debut its Skyactiv-D 1.5-litre diesel engine at in Geneva, leading to speculation that the new Mazda2 will be the first model to offer the newly developed small displacement clean diesel engine. Few details are currently known about the next Mazda2, but it is expected to be offered as both a hatch and sedan (although likely only as a hatchback in North America), and revealed by the end of the year or in early 2015. What is known is that the new Mazda2 will be the latest car in the company’s lineup to adopt Mazda’s Skyactiv principles of lightweight design and downsized engines. 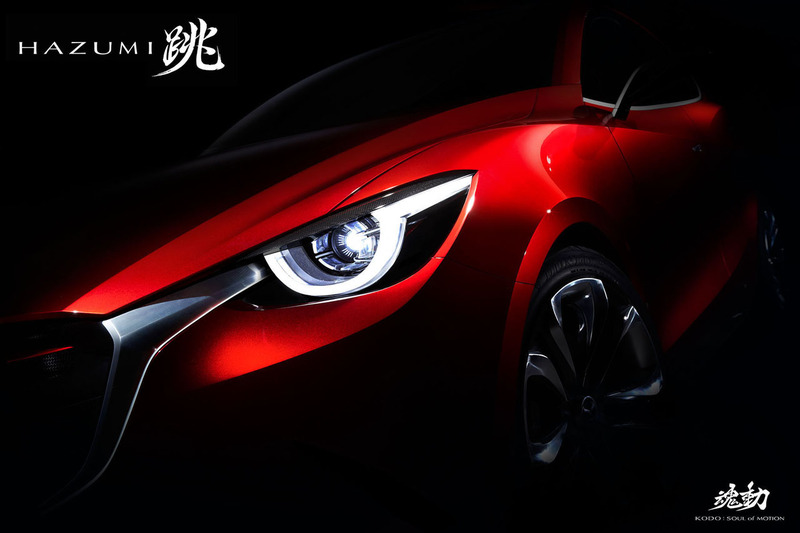 As the Hazumi teaser image shows, it appears to be based on the same Kodo design language as the larger Mazda3 and Mazda6, with a strong family resemblance to those cars. The International Geneva Motor Show runs from March 6 to 16.